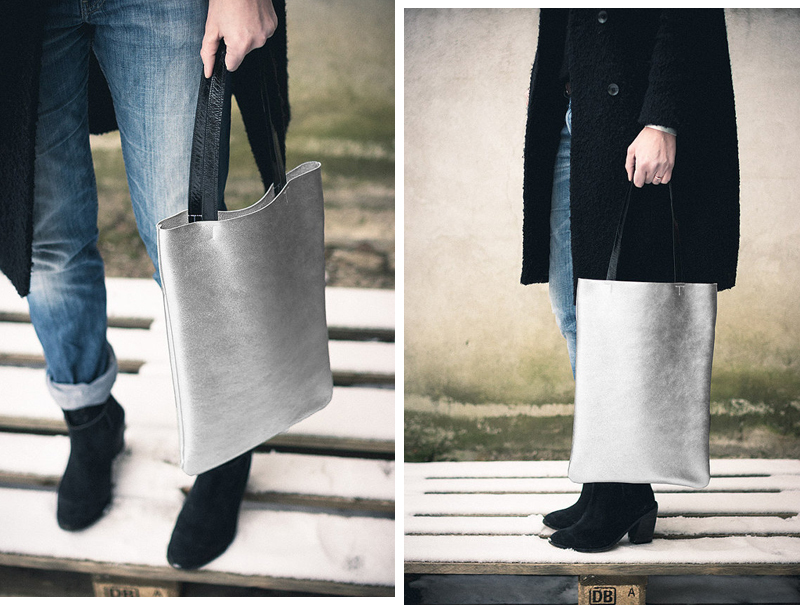 These handmade bags are super sleek and simple and I especially like the metallic ones! Those are beautiful! I love the black bag though. And her boots! oh wow, such simple beauty! So nice! I love that it's still that classic tote shape, too.